There is no doubt that if you’re a fan of Avatar and Cirque du Soleil, TORUK—The First Flight will revive the Na’vi world we were introduced to back in 2009 by James Cameron. With a touch of Cirque magic, this multimedia extravaganza sequel is set many years before the movie we all know. The Show tells the story of two young Na’vis of the Omaticaya Clan (Ralu and Entu) coming of age. While during the initiation ceremony, one of them fails and leaves the clan. They are reunited with a mission to save the Tree of Souls. While in their quest, Tsyal from another Na’vi clan joins to help collect artifacts to summon Toruk. The most impressive part of the show is most definitely the acrobatics and all the synchronization of small to large puppets—and for sure all of the visuals effects involved during the production. Although, you might be used to Cirque’s more intimate tent setting like KURIOS. TORUK—The First Flight is built into a stadium setting, so keep in mind that to enjoy the best views of the show, the lower your seat row, the better experience you will have. 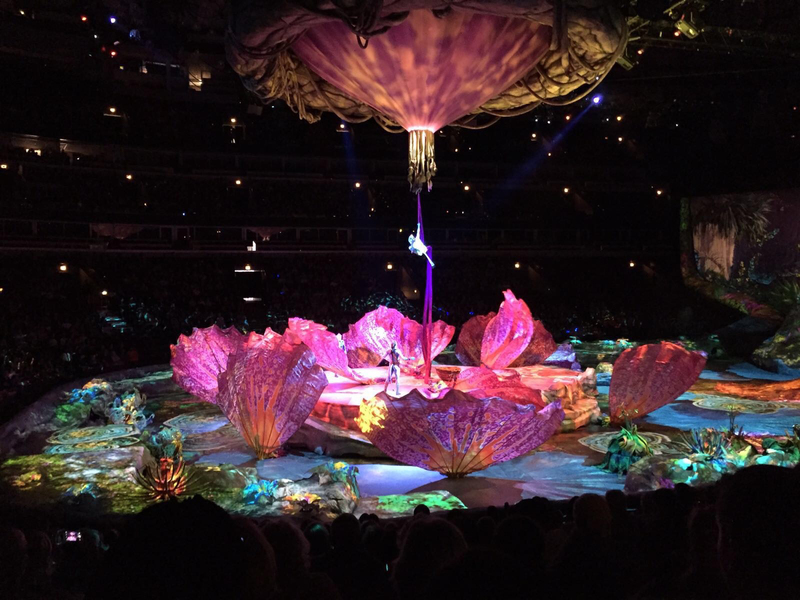 Also, as part of all the technological aspects of the show you are able to download the Toruk show app to be part of the experience during the show.